It’s been fun, but New Year’s day marks the end of winter break and tomorrow means a return to work, so to prove that I haven’t been slacking for the entire holiday season here are a few highlights. They’re all kind of off-garden-topic but lately I’ve been lost in seed lists and plant offerings and not much real work has been completed…. other than cleaning and eating and cleaning and assembling Christmas presents and repeating as necessary! Snow came and went and then came again for the entire month of December and for some reason coats and gloves are always just inconvenient for anyone under the age of 16. There was plenty of holiday decorating and holiday traditions but this year we broke away from the standard gingerbread and went with a sugar cookie version. The kids also insisted they could decorate the whole thing themselves…… so far so good, but I’ll spare you from a picture of the finished product 🙂 There was shopping….. the less said of that the better…. 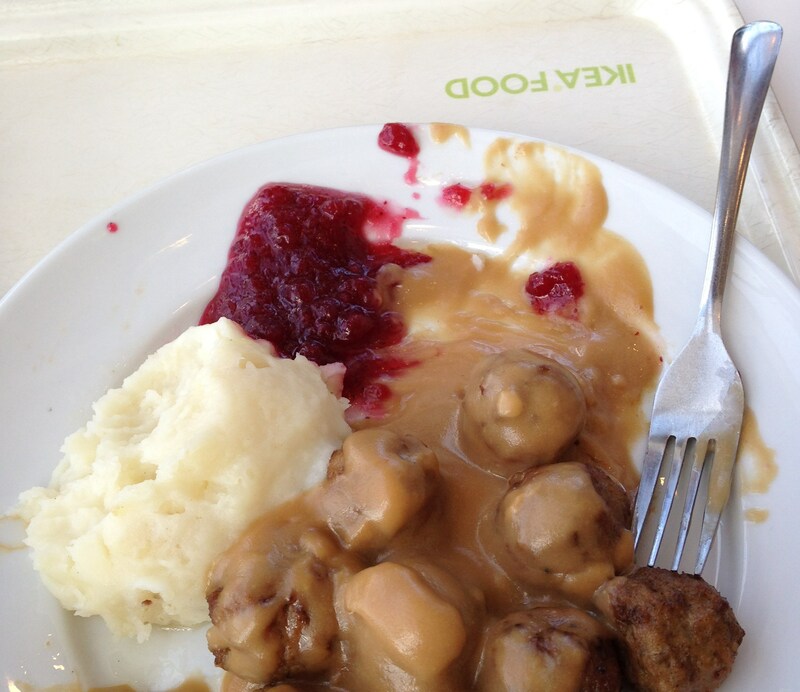 but I did get to cross the IKEA Swedish meatball lunch off my to-experience list. 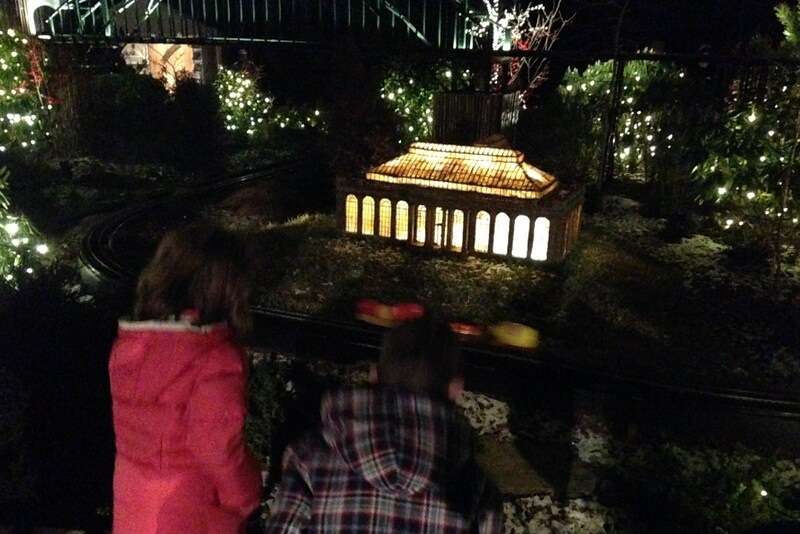 We made it down to Longwood for their Christmas display…. Unfortunately we did not purchase tickets beforehand so ended up waiting two hours before being allowed entry. I knew that might be a possibility but wasn’t sure what time we would be there, since morning snow delayed us for 2 hours and then traffic delays added another hour. But I hope the people at Longwood would have worked with us had our times been way off, so next time I’ll try for tickets beforehand. The kids were great though, and didn’t seem bothered at all by the delay… but I was a little disappointed we couldn’t see much outside while the sun was still shining. The miniature train display is always the highlight of the trip. Inside the greenhouses the display is always special. In the cooler houses cyclamen rule, but poinsettias, amaryllis, orchids, and hundreds of other plants pack the beds and arrangements. One of the centerpieces was the tree fern room. Always flooded with a thin sheet of water, this year Granny Smith and Rome apples were arranged into a floating flourish of color. The hanging “chandelier” isn’t too shabby either! And then back outside to finish up the outdoor decorations…. it’s really an amazing display! To finish up the holidays, the next day we headed out to Omi and Opa’s house on Long Island, NY. 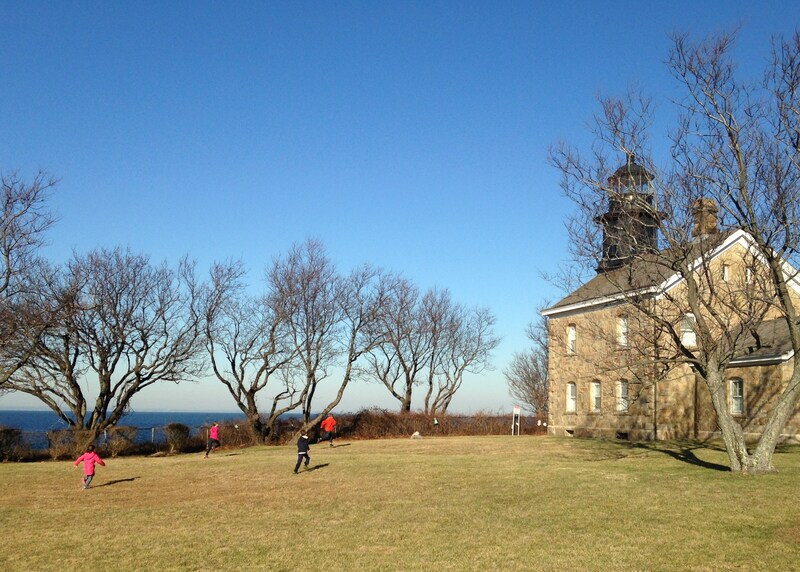 Their snow had all melted so it was perfect running and playing weather. 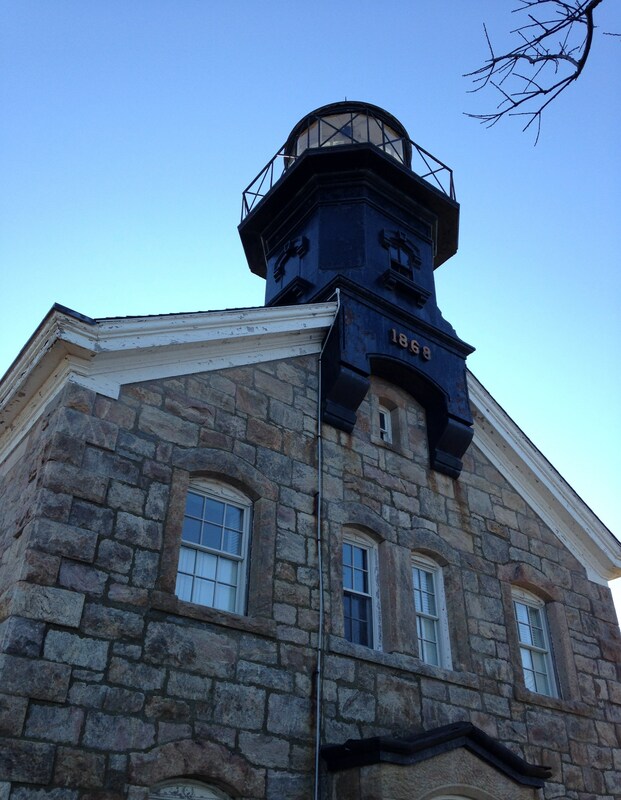 Between wrestling with cousins and uncle piggyback rides there was a little history at the Old Field Lighthouse. And always a visit to the beach, with a ton of rock, shell and driftwood collecting! And then back home to face the new year and the next winter storm system…. and to emerge from winter hibernation. I hope everyone enjoyed their holidays and is ready for January. The next post will be back to plants, now that the winter garden is set up and running and snowdrops and cyclamen are waking up! 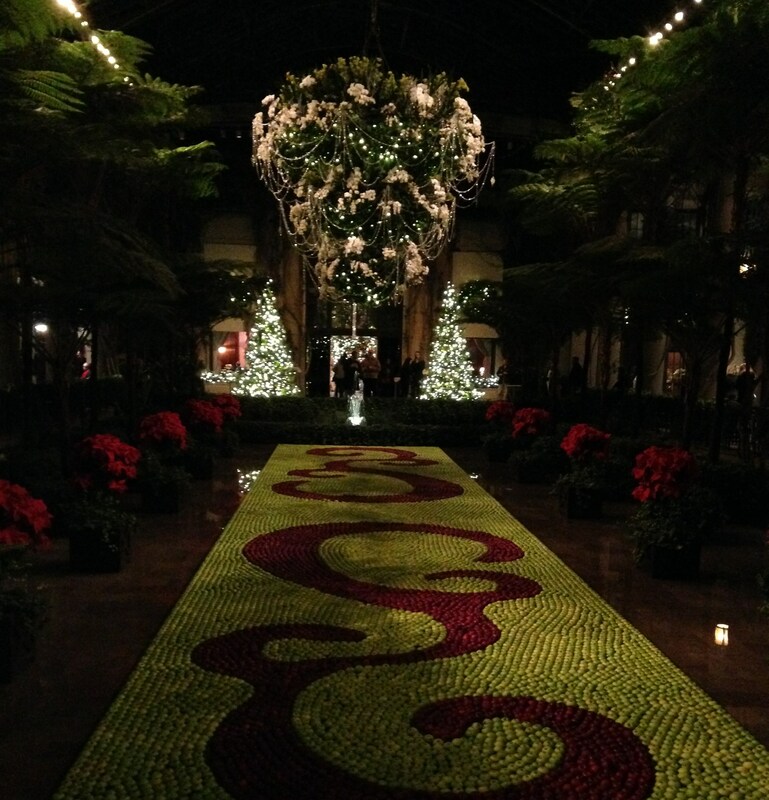 This entry was posted in garden stories, Uncategorized, winter and tagged christmas display, christmas lights, holiday season, Longwood christmas, longwood gardens, longwood train display, oldfield lighthouse, sugar cookie gingerbread house. Happy New Year to you and wishes for many good days playing in the dirt! Thanks, and same right back at you! You’ve been busy! 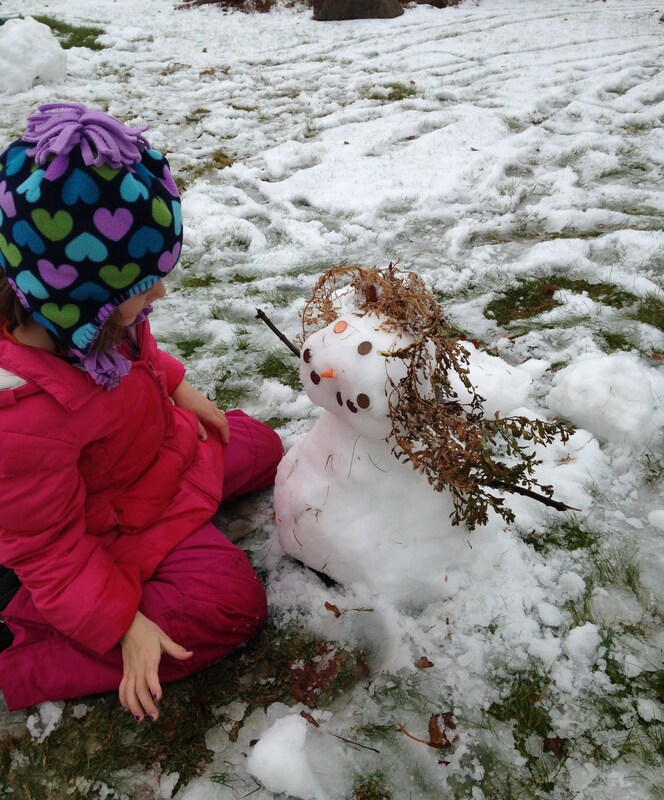 Love the hairdo on that snowman. You certainly sound as if you had a wonderful time, Happy New Year to you all! thanks, and Happy New Year to you and yours! Happy New Year, and I can’t wait to see signs of snowdrops… mine are nowhere to be seen even though our winter doesn’t seem to have really arrived yet! That might not be a bad thing, I get nervous when things get too far and I know the weather will take a turn for the worst! What on earth makes you think that 16-and-up’s wear coats? I was once accosted by neighbor, who told me they had lots of nice, warm winter coats at the thrift store at his church…seems that my two lovely daughters (who had brand-new LL Bean gear) were choosing to stand at the bus stop every morning in ‘fashionable’ sweaters…and shiver. Happy New Year to all of you! Longwood looks like a wonderland…. Longwood is beautiful but gets crowded. An Edaville nearby with train rides would have been perfect for the kids! I enjoyed your holiday. It was such a fun filled time. 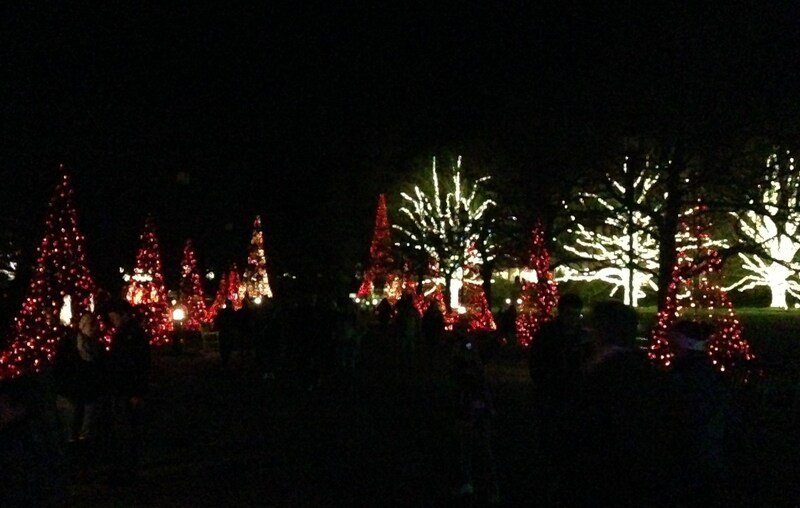 I would love Longwood at Christmas and have to get there next year. 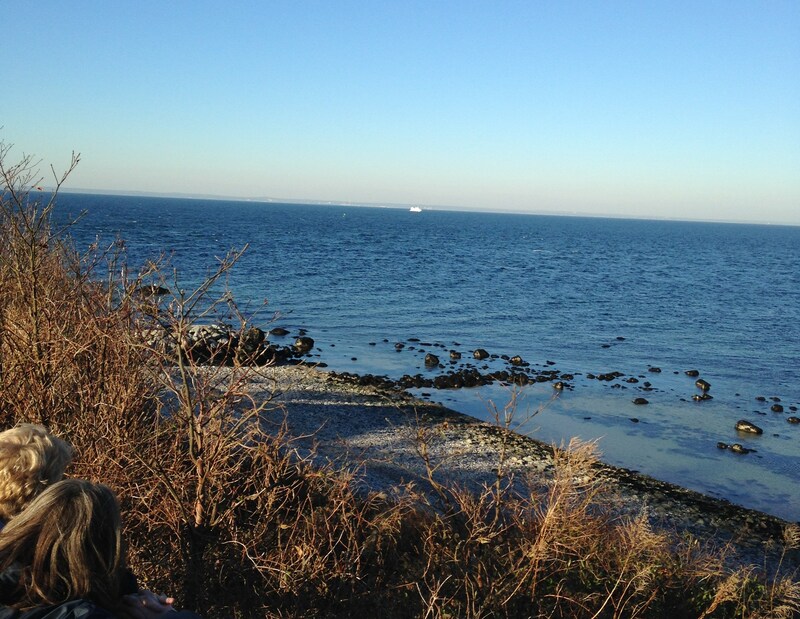 Your visit to Long Island looked like such fun with great scenery. Thanks, it was a fun holiday season. 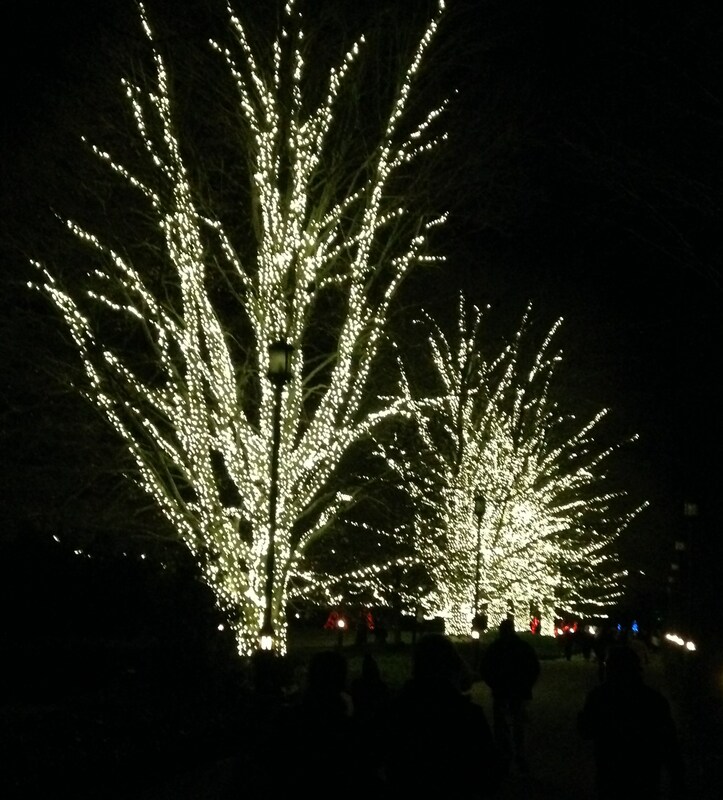 I think you’ve been to Longwood enough to not need visiting advice, but if possible try to get there for the day and then stay late enough to see the lights. The first time we went, we made our rounds while it was still light out and then ended the day with a meal there. When we finished eating and came back outside we had to do the entire park again to admire the lights. I almost did go for the lights one year. My cousin is on the board and gets tickets for everything that happens there. The weather was horrid the night we were to go and even though she gets a limo for our travel there, we opted out. Weather in PA can be as bad as here and the ride to Longwood is a bit far in bad weather. That’s a shame you had to cancel. I hope you do get to go one year at least. You wouldn’t think plain old lights could be so magical! Looks like a great holiday season. I’m not Swedish, but I can relate to any heavy European cuisine with lots of potatoes, chopped meat, and gravy. Good thing you had the little ones to keep you active. Good point, it’s not exactly a sit around all day kind of meal! I loved my Longwood experience and was going back tonight for the lights but no go due to the snow. Happy New Year. Happy new year to you too. The weather has been putting a damper on things around here too, but such is winter! …..actually it’s nearly two hours in the car to visit Longwood, so not so close, but a stroll in the greenhouses seems worth it during the shortest days of the year (another incentive to build my own!) This is also when I miss living in NY where there were parks all around. 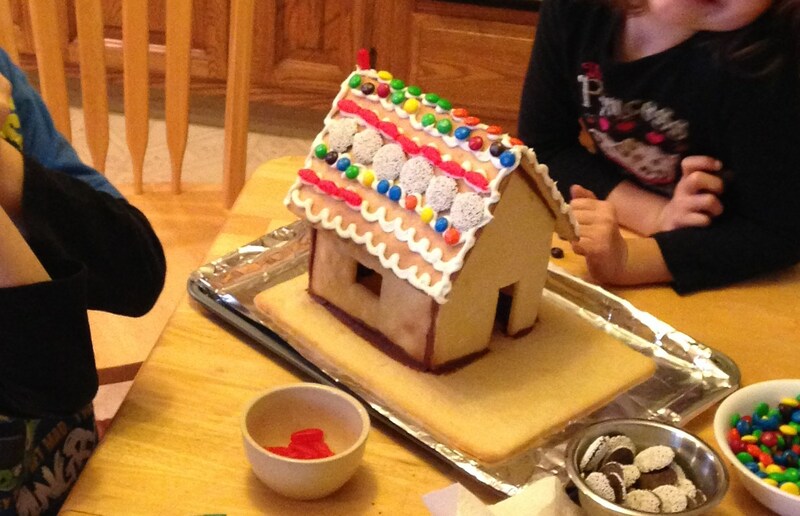 The gingerbread is a German tradition, I’m trying to pass it on to the kids even though they are half Italian! All the best to you too for the new year, and I’m glad to have met you this year!